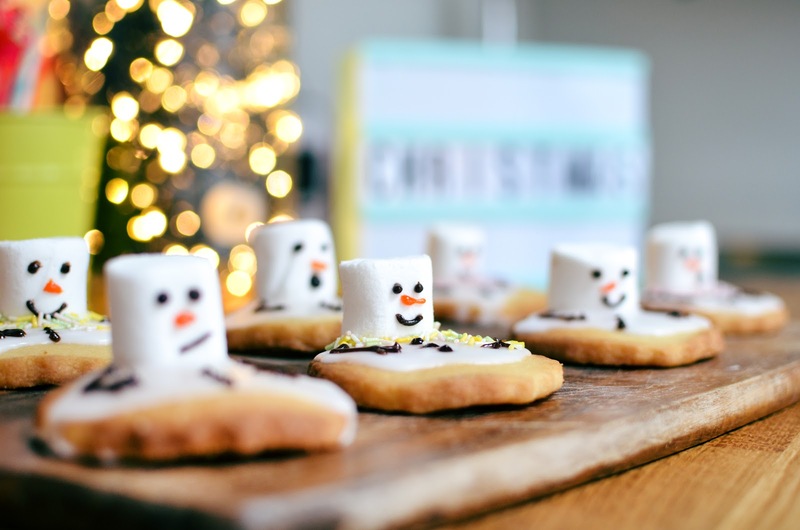 This weekend consisted of putting the Christmas decorations up at home, ice skating, drinking cocktails in the cold and a little bit of Christmas baking. There’s nothing I love more than being home at this time of year, the house is always cosy and either the smell of our Christmas Eve Yankee Candle is in the air or mums homemade puff pastry mince pies. 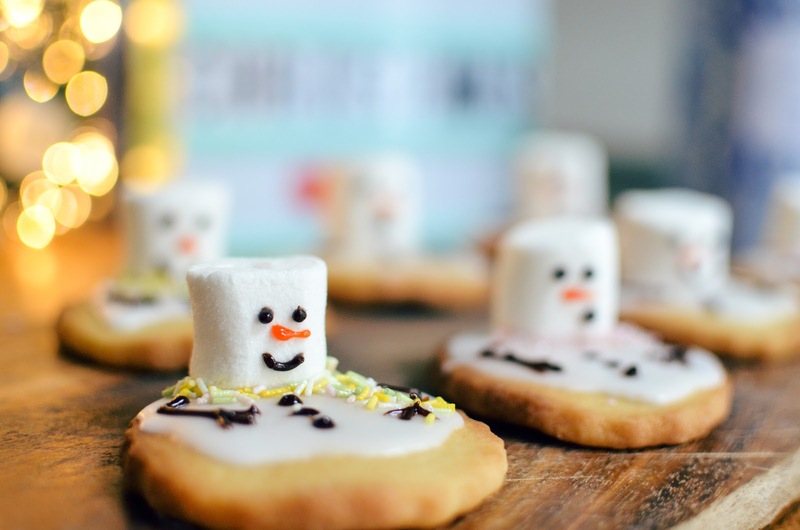 On Sunday morning, I decided to give Tanya Burr’s melting snowmen biscuits a go! One, they look super cute and Christmassy. Two, I have been wanting to bake for so long but don’t have the proper equipment to do it at uni. Three, my step brother was on a flight back from China for Christmas at home with the family for the first time in years since he’s been away, so I wanted to make sure he had a little christmassy treat to come home too! flour until everything is mixed together. work them into a dough. little until you have a thick, smooth icing that isn’t runny. meant to look like a puddle, so don’t worry about being too neat. icing is still soft, put your marshmallow head in place. 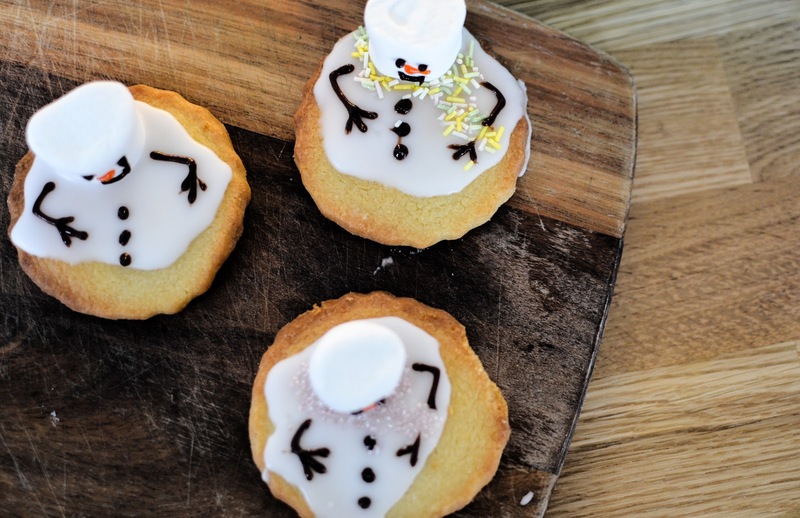 Use the icing tubes to add arms and coal buttons to your snowmen. Leave the icing to harden and set for about 10 minutes. 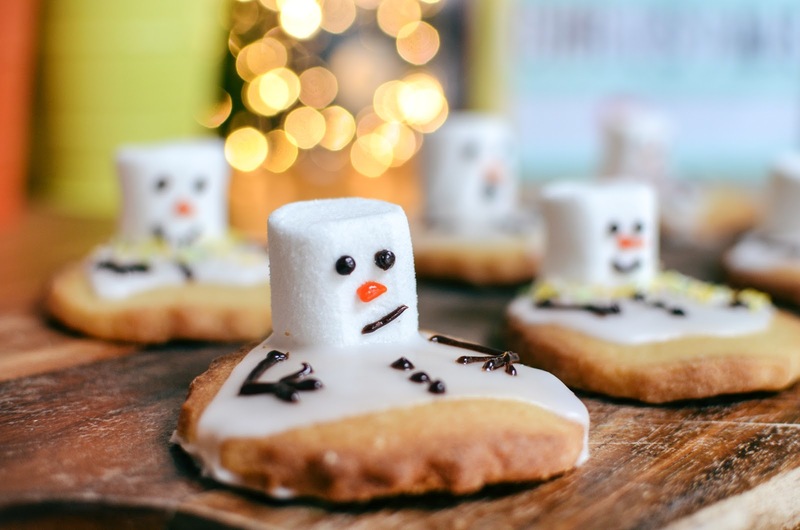 Once the biscuits have cooled, serve them on a plate or board and enjoy with a hot chocolate or cup of tea! *For more of Tanya’s recipes visit her website. Have any of you tried this recipe before?